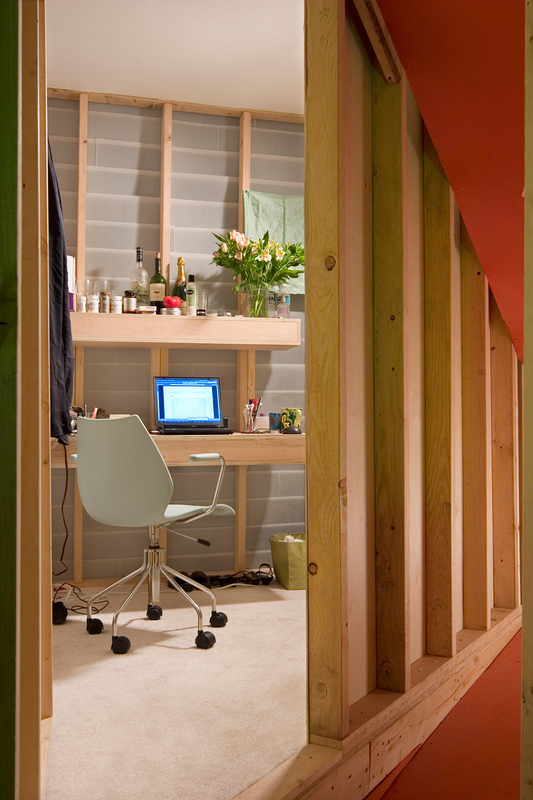 Rather than simply placing the writer on display, spaces for both writer and viewer were configured within the construct of an ideal 12-foot square cubicle. This encouraged the writer to be an active participant in choosing when and how to interact with her audience. The viewer, although at first seemingly in control of this relationship, quickly learned that “occupying” the cubicle required a degree of physical exertion and contortion (crouching, crawling, sliding) that left him exposed to the writer’s gaze. 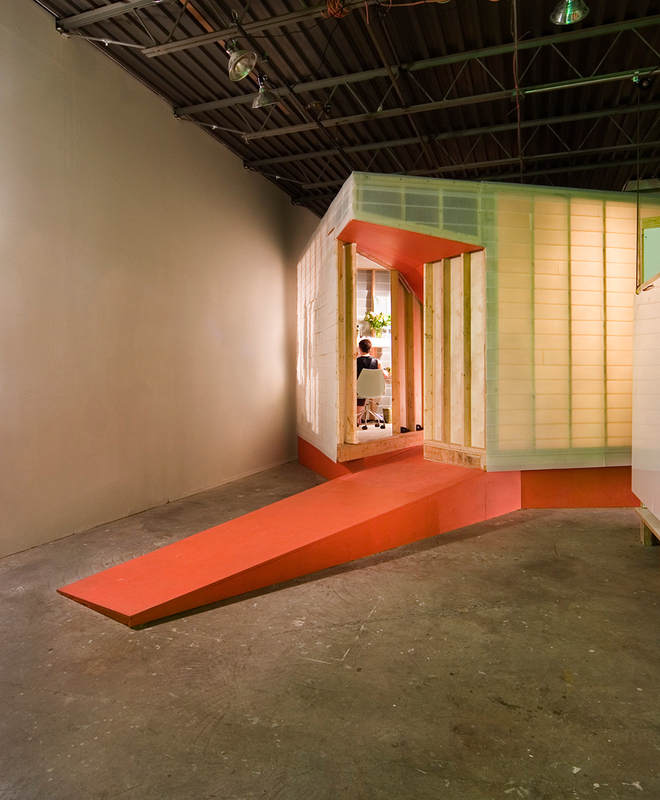 The writer’s hut was framed with wood and sheathed in translucent plastic shingles to reveal its structure and to give outward evidence of its occupant. This method of construction recalled domestic building techniques and resulted in a structure both familiar and unexpected. 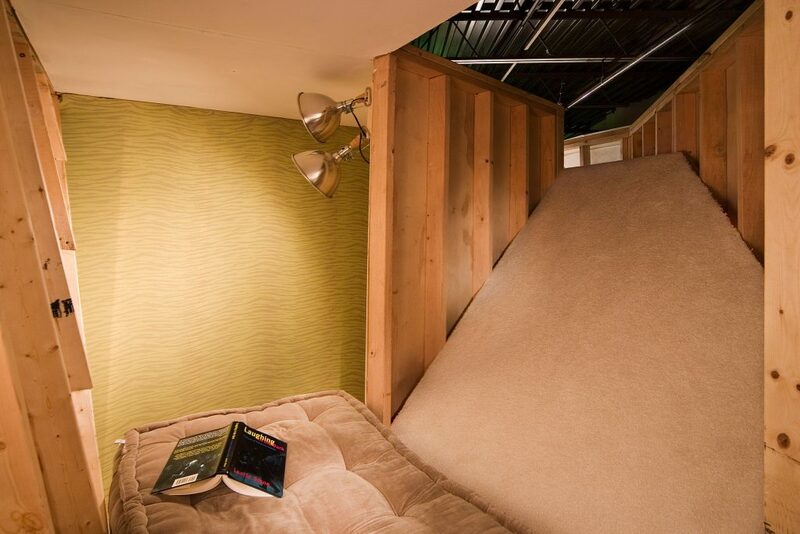 A carpeted “sundeck” and secret bed-door added to the writer’s enjoyment of her home, which she tearfully called “the best place I have ever lived!” upon returning to her everyday routine.